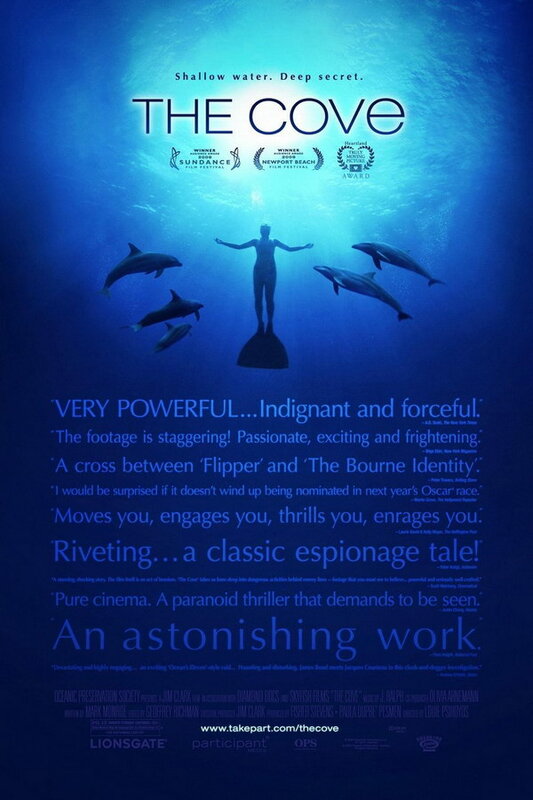 The Cove font here refers to the font used in the poster of The Cove, which is a 2009 documentary movie that analyzes and questions the dolphin culture of Japan. The movie title in the poster is probably set in Helvetica Neue 33 Thin Extended. The font is a commercial one and you can view more details about it here. In addition to The Cove, Helvetica typeface is also used in the following logos, movie posters or album covers etc., including: Microsoft Flight Simulator, The Daily Show, Stand Up and Scream, Sideways, Jeep, Prototype, Section.80, Get What You Give, Mattel, My Week with Marilyn, Alien Isolation, The Last Stand, Staples, NSYNC Logo, 3M.